I hope you've had a good month! It has been okay for me, I have been working a lot more but it was all worth it come pay day. I haven't really done much throughout October apart from go to Glasgow shopping with James, it's been a pretty boring month for me! However I have been trying new products and buying new things which are all included in this months favourites! 1. Revlon nail polish 'Scandalous' £6.49 - I absolutely love this nail polish! It lasts such a long time and looks amazing on my nails! 2. 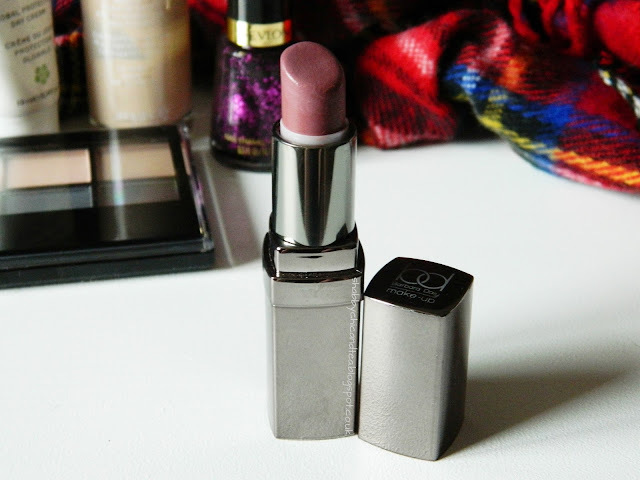 Barbara Daly lipstick 'Sugar Candy' £9 Tesco - For me this is the perfect lipstick for autumn/winter, it is such a lovely purple shade and it matches everything! 3. 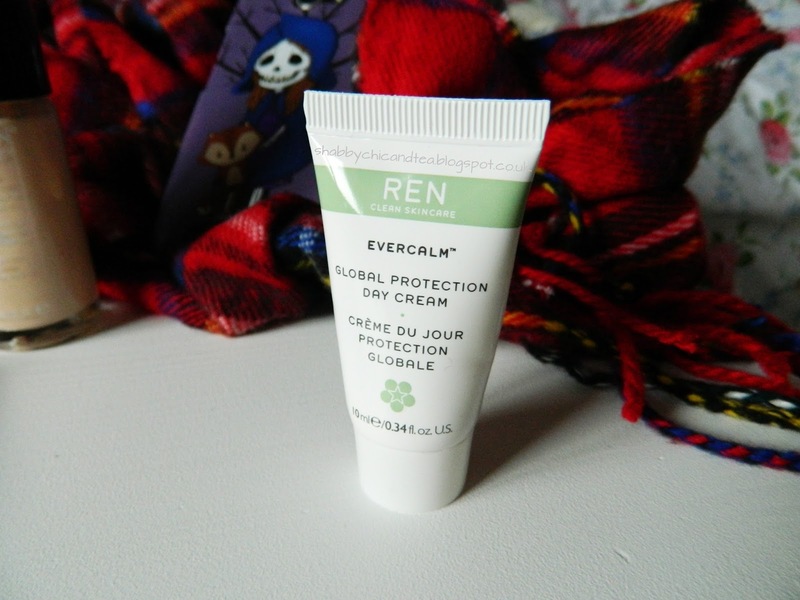 Ren Global Protection Day Cream Sample(Free in InStyle mag, part of a 3 piece set) - I have loved using this sample throughout this month, it smells absolutely amazing, it sinks into my skin quickly, leaving it feeling revived and soft. 4. 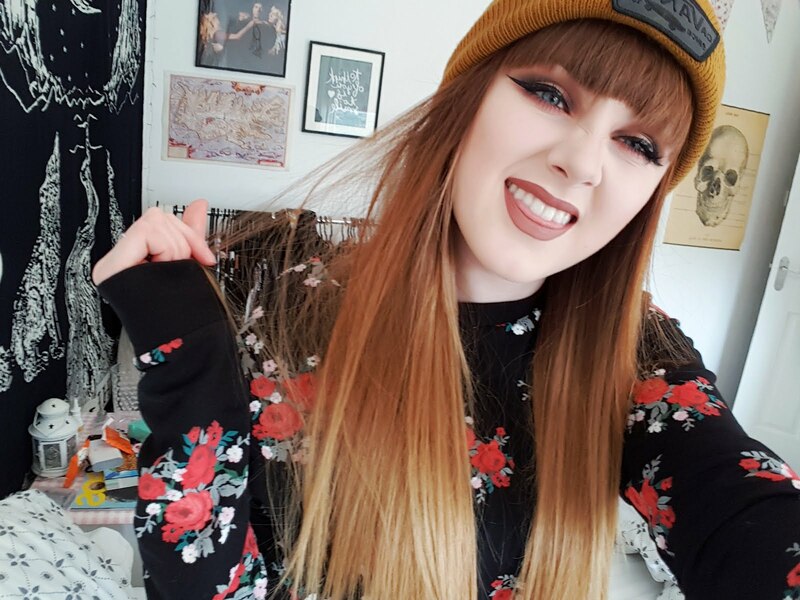 Revlon Colorstay Foundation 110 ivory £12.49 - This is my new favourite foundation, as some of you may know, I have super pale skin and it's hard to find foundation that matches me. I find this foundation to be very very close to my skin tone and it lasts all day! I love it, I will be doing a full review on it very soon! 5. 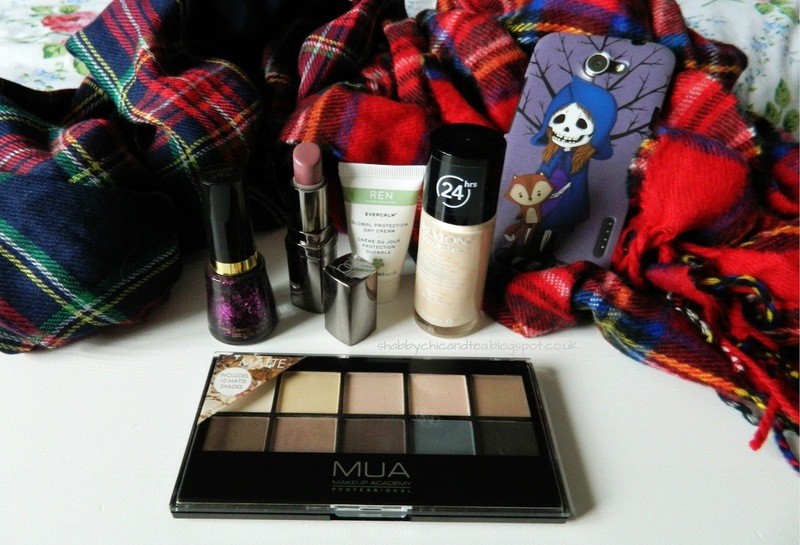 MUA Matte Palette £4 Superdrug - I am so happy MUA have brought out this palette, I only ever use matte shades so now that they have an entire palette dedicated to them, I am very happy! The shades are very pigmented and blend together perfectly. I will be doing a full review on this in the near future too! 6. Head Case HTC One X phone case eBay £5.49 - I don't know if this phone case will be to everyone's liking, but I love it, I think it is very me! I find it cute, however, James doesn't. 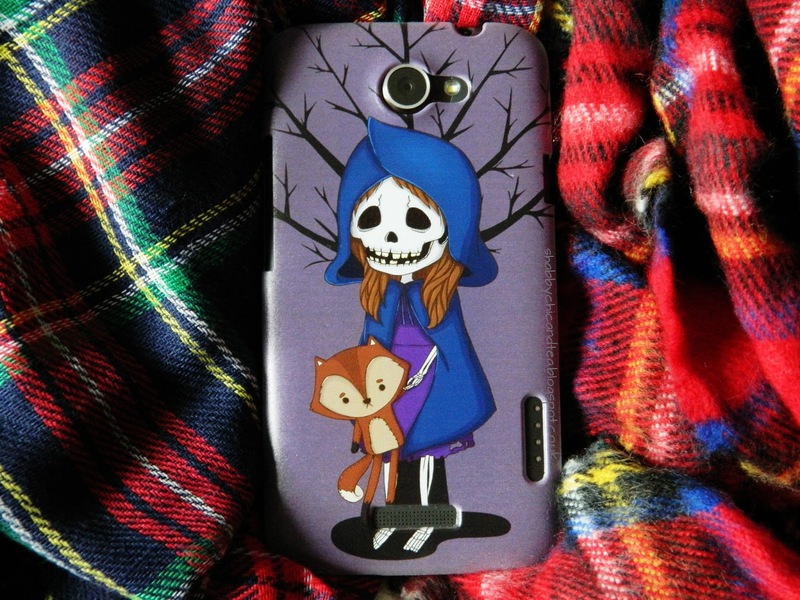 It is perfect for the Halloween season but I can tell I will use it all year round, it protects my phone well and it arrived within a couple of days of purchasing it, I bought it from this eBay seller, they do lots of other designs too! 7+8 TARTAN! I always love a bit of tartan at this time of year but this year I've become far far too patriotic! I have loads of new tartan pieces, even the pyjamas I'm wearing right now are tartan! The scarf on the left is from Primark for £4 and the one on the right is from one of the many highland shops in my high street for £6, I love both of them, they are very cosy and on trend! Love the look of the lipstick and the nail polish. Lovely tartan scarf! 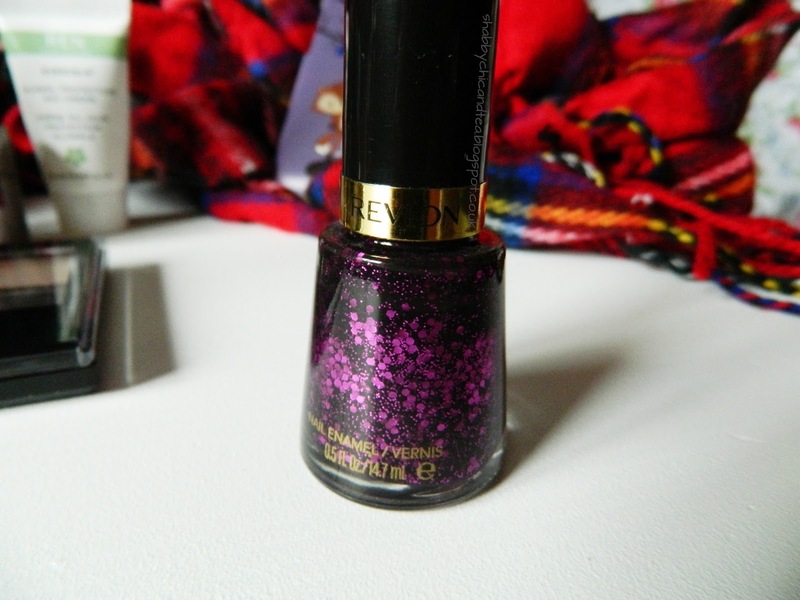 I am really liking Revlon for nail polishes at the moment, they are doing some lovely ones - this one included too! I have never tried Revlon Colourstay even though i have heard so many good things about it, maybe it can be my purchase of the month. 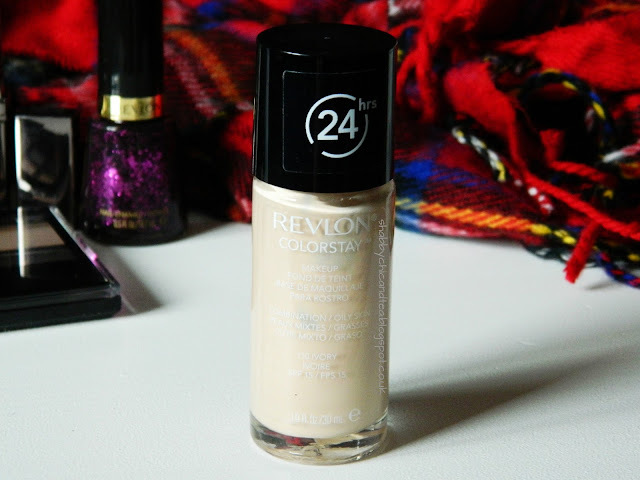 Revlon colorstay is one of my favourite foundations love it!!! and that palette looks amaze!!! i have this nail varnish (good choice girl :P ) looks fab on, but getting it off is a right pain in the bum! 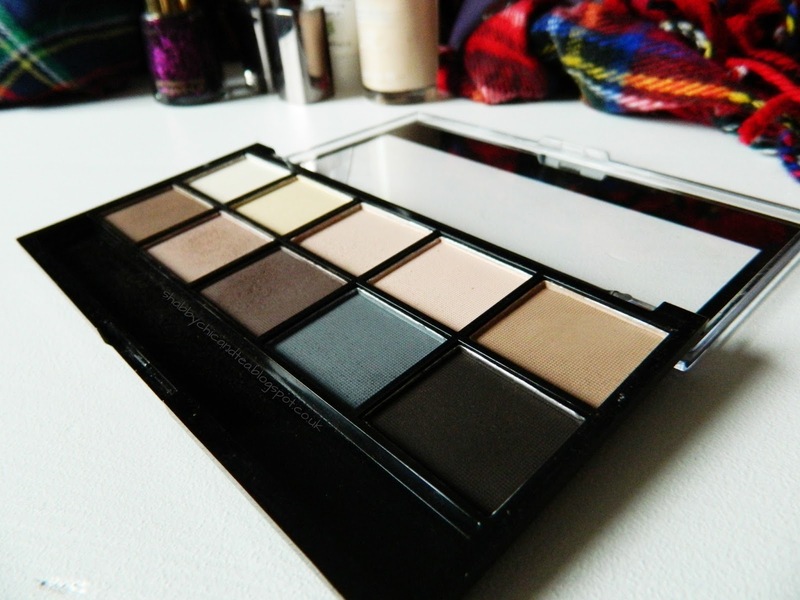 the pallet looks lush too!